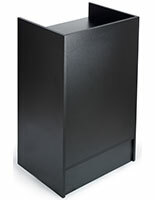 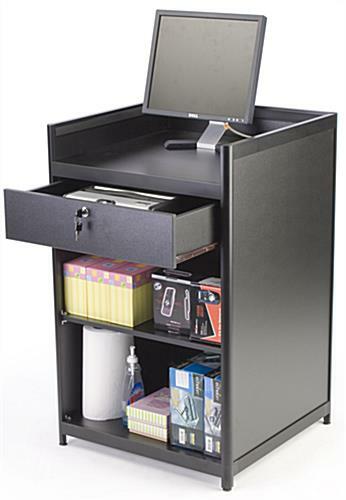 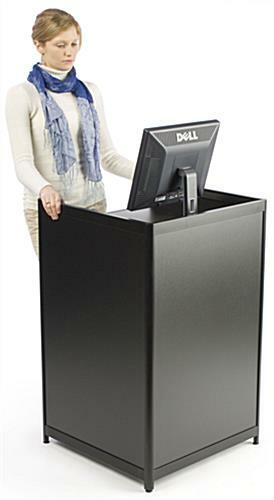 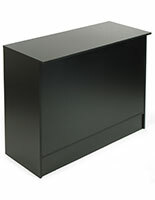 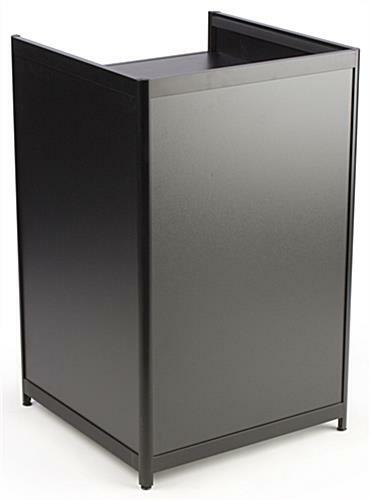 These 24" wide register stands include a drawer that locks for extra protection and a strong frame made of black aluminum. 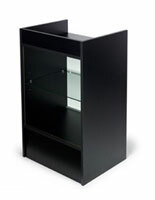 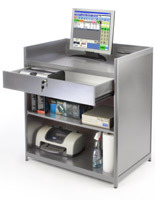 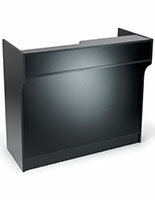 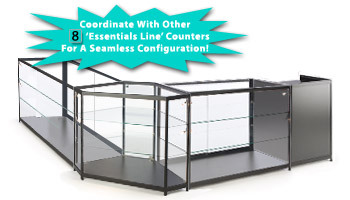 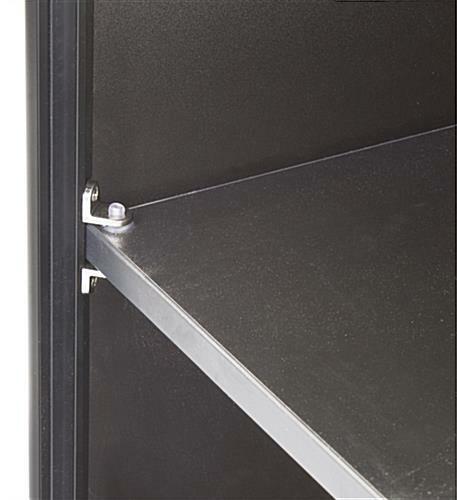 The cash wraps also feature adjustable shelving for holding supplies large and small. 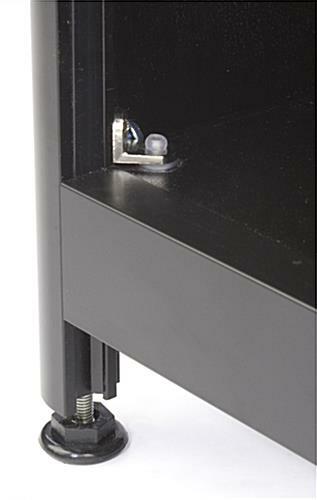 The black register stands also have alterable floor levelers that allow them to sit comfortably on uneven flooring. 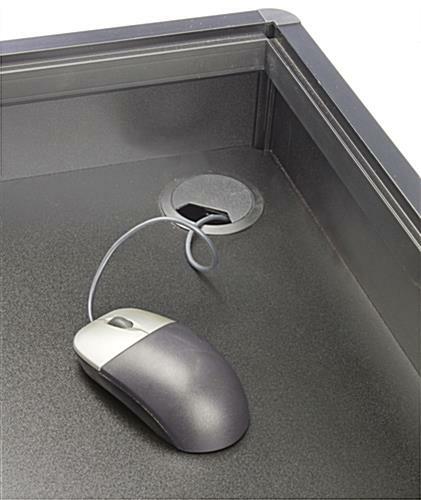 Additionally, the counters with a locking drawer include holes for managing cables and wires, making for an organized fixture. 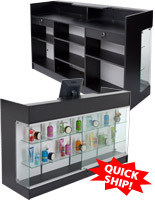 The stands make great cash wraps and checkout counters in retail environments, but they can also be used to greet customers in a salon or restaurant. 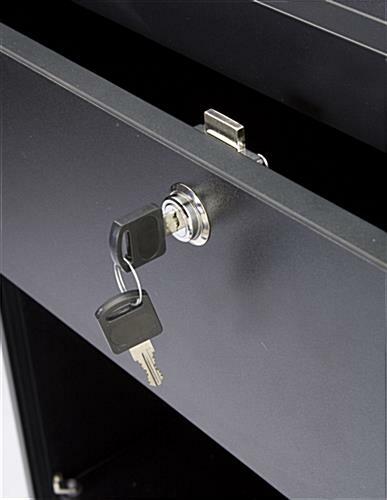 The fixtures are also available in silver.